Plug Connection specializes in creating the ideal condition for seeds to burst into life. 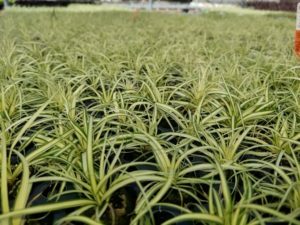 By customizing the environment to each plant’s specific cultural requirements, Plug Connection continues to provide professional growers with high-quality seed annual and perennial plugs. Download our complete product listing online—simply click on the “catalog” tab. 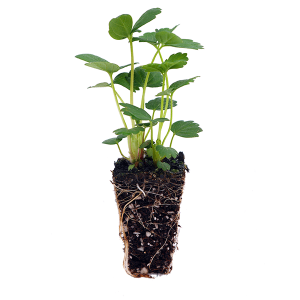 Plug Connection is successful in encouraging root formation from healthy, hydrated, disease-free cuttings, and supplying high-quality vegetative liners to professional growers. 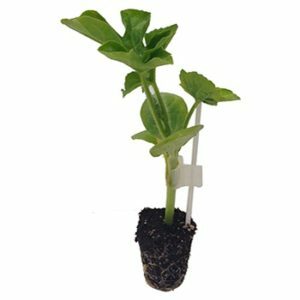 Plug Connection is a leading U.S. supplier of grafted vegetable transplants. Tomato, cucumber, eggplant, pepper, melon, and watermelon varieties are hand grafted onto disease resistant rootstocks—marketed to home gardeners as Mighty ‘Mato, Mighty Veggies, and Mighty Melon—a Plug Connection EXCLUSIVE. Another Plug Connection EXCLUSIVE—Ketchup ‘n’ Fries™ —is a grafted tomato AND potato plant in one. Year round, Plug Connection also hand grafts tomato and watermelon varieties onto disease resistant rootstocks for grafted transplants specifically primed for agricultural field farms and greenhouses. Email AgSales@plugconnection.com or link to Plug Connection AG for more information. Grafted vegetables are resistant to soil-borne diseases, vigorous, improves performance, extends harvests, and increases yield. We have state of the art fog and shade systems perfectly suited to create the right micro-environments to propagate Stage 3 TC. From Succulents, to Terra Nova Heuchera, to Garvineas Gerberas; we propagate high quality liners year round.